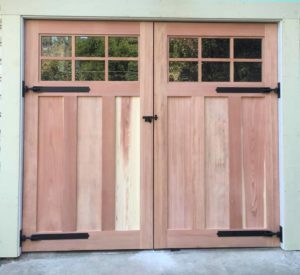 For more than 25 years, Williams Gate Works has provided residential and commercial clients in Marin with superior quality, hand-crafted custom wood gates for the driveway, backyard, side or garden entrance, and custom needs. Our entry solutions are unique, unlike the options you find at home supply stores for using in a side yard or backyard entrance, and are designed of solid wood for decades of enjoyment and use. Whether you own a home or business, our wooden gates are highly functional and greatly enhance curb appeal. As a home or business owner you may have had a new fence installed, or need a new gate to replace an old one on an existing fence. With many redwood gates, the problems owners often face include warping, splitting, cracking, or even rotting. We design our solid wood gates using a process that protects the wood, providing lasting beauty and functionality for a lifetime. While a gateway is designed for a purpose such as to provide access to a garden, backyard, or area of property that is private and not for public access, it should complement your property at the same time. Whether you are in need of a wooden fence gate or one that allows access to a side yard or other area, you will find ours of unsurpassed quality and beauty – even the hinges, latches, and other hardware we use stands above the rest. Every homeowner wants a landscape that is visually appealing, and this includes every element outdoors, including gateways and entrances to other areas of your property. Business owners desire a neat, attractive property as well. At Williams Gate Works we exceed your expectations, providing custom wood gates for every need. When you demand beauty, functionality, and durability that lasts, count on us for all of your custom gate needs. Serving all of Northern California and Nationwide including Saratoga, Ca.